That the longstanding antagonism between science and religion is irreconcilable has been taken for granted. And in the wake of recent controversies over teaching intelligent design and the ethics of stem-cell research, the divide seems as unbridgeable as ever. In Science vs. 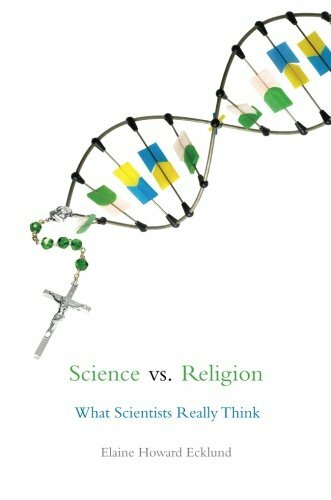 Religion, Elaine Howard Ecklund investigates this unexamined assumption in the first systematic study of what scientists actually think and feel about religion. In the course of her research, Ecklund surveyed nearly 1,700 scientists and interviewed 275 of them. She finds that most of what we believe about the faith lives of elite scientists is wrong. Nearly 50 percent of them are religious. Many others are what she calls "spiritual entrepreneurs," seeking creative ways to work with the tensions between science and faith outside the constraints of traditional religion. The book centers around vivid portraits of 10 representative men and women working in the natural and social sciences at top American research universities. Ecklund's respondents run the gamut from Margaret, a chemist who teaches a Sunday-school class, to Arik, a physicist who chose not to believe in God well before he decided to become a scientist. Only a small minority are actively hostile to religion. Ecklund reveals how scientists-believers and skeptics alike-are struggling to engage the increasing number of religious students in their classrooms and argues that many scientists are searching for "boundary pioneers" to cross the picket lines separating science and religion. Elaine Howard Ecklund is Assistant Professor of Sociology at Rice University, Director of the Program on Religion and Public Life for the Rice University Institute for Urban Research, and Rice Scholar of the James Baker III Institute on Public Policy. Ecklund has received awards and grants from the National Science Foundation, Russell Sage Foundation, and John Templeton Foundation and is the author of Korean American Evangelicals: New Models for Civic Life (Oxford 2008).